A comprehensive Human Resource and Payroll Management system designed and developed by VasTech Uganda Ltd specifically for the Ugandan market, serving a wide range of businesses. The latest version boosts improved payroll processing time, easier payroll edits, automated Salary Increments, improved Search feature, ease of System navigation and access among other numerous changes. Imagine having all of your employee data secure in one location and accessible in seconds. Improve HR operations and make smart decisions with Uganda’s most comprehensive HR software for small and mid-sized businesses. Covers the System setup and involves fine tuning the System to the Company structures and way of operation. Information such as Employee Profile and Salary scales are defined in this module. Re-engineered to support five payroll types namely Project Payroll, Full Time Payroll, Casual Payroll, Temporary Payroll and Part Time Payroll. It also automates Loan and Advance recoveries. Allows all involved parties such as the Human Resource, Supervisors, Department Heads and every Employee to set objectives, targets, performance parameters against which scores and grades can be attached. Allows for a paperless Leave application, approval and return from Leave process. Employees schedule their Leave using the Leave portal, superiors are notified through Emails and System notifications. I recommend VTL as a company that offers various software in the country. Population Secretariat has been utilizing the services of VTL in the Payroll system and Management and Accounting software for the last 8 years. During this time, Vastech has always been helpful to the users and they always check on their clients to ensure that the software is running smoothly. Their software is user friendly and easy to use for anyone with basic computer knowledge. I highly recommend Vastech Software use in any organization. I am writing to recommend the services of VTL to your firm. 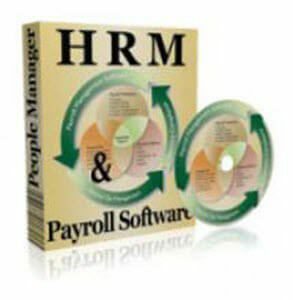 VTL has been a service provider for Pastel Evolution Accounting Software, HRM to us for the last five years. During this period, VTL has exhibited a high degree of quality service in terms of support, maintenance and after service delivery. I therefore recommend you for their service. If you have any questions, feel free to contact them. It gives me great pleasure to recommend VTL to your firm. I have worked with Vastech for the last three years. In that time, they have installed People Manager -a Human Resource and Payroll Management System, Pastel Partner Accounting and provided a Networking service/connection between our different Project building. Their quality of support, maintenance and service delivery has been great and I recommend them with enthusiasm. Am pleased to have this opportunity to recommend VTL as our service provider for Pastel Accounting Software and Human Resource Management System. We have been in business for over 5 years and their quality of support, maintenance, and service delivery has been great. Vastech is our longtime supplier of Pastel Accounting package and technical support since 2015. During the time, we have worked with them, they have proved honest and reliable in their services. I therefore recommend them for any assignment relating to Pastel and technical support.